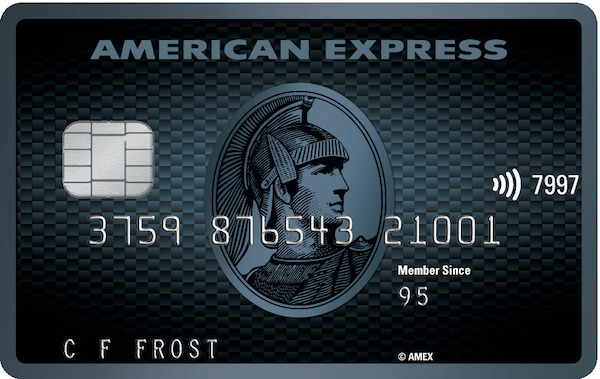 [Referral Link] The American Express Explorer Card - one of the best Credit Cards in the Australian Market. I've created this primarily for people that are completely new to Credit Cards. As with most things on this blog, this is explained in an Australian context. In my opinion, Credit Cards are one of the most useful banking products in existence. Of course, transaction accounts and savings accounts keep your money safe and earn you interest. Home loans lend a hefty sum of money to enable you to purchase a dwelling or investment property. However, I personally gain a lot more satisfaction out of understanding and knowing the sorts of benefits I get with Credit Cards. I don't intend to go into too much detail here, because if I do it'll be extremely long. Feel free to leave any comments or questions you have. Some of the terms used below may be unfamiliar to you. These are explained in the Credit Card Terminology post. You have a bank account with a linked Debit Card, and are roughly aware of how it works, as I will be using Debit Cards as a point of comparison. A Credit Card is a line of credit. This means you are being "lent" money. With a Debit Card or a Prepaid card, you have to have your own money available first. Because it is a line of credit, during the application process, a "credit enquiry" is initiated on your behalf by the bank/financial institution providing the credit. This leaves a trail in your credit history - although this is not necessarily a bad thing. Credit Cards have "credit limits", which is basically the maximum amount your bank allows you to accumulate in debt before paying it off. Expenses made on a Credit Card are accumulated and issued to you in a single bill at the end of a billing cycle. [Personal Opinion] Because you are using someone else's (the bank's) money to make your purchases, I am under the impression when frauduluent transactions are made on a Credit Card versus a Debit Card, you are likely to have the bank act quicker. Debit Cards linked to transaction accounts are more likely to have fees quoted as a "monthly fee", as opposed to Credit Cards which have annual fees. Credit Cards are generally not used for withdrawing money out of an ATM, due to the additional fees involved with withdrawing from a Credit Card. The ability to earn Rewards points, which you can ultimately use to redeem flights or obtain Gift Cards for places like Woolworths/Coles, or possibly other rewards. There are a very limited number of non-Credit Card products that can earn you Rewards points, but are generally earnt at a much worse rate than that of Credit Cards. Having a card to pay for things in situations where you have no cash and no money linked to your Debit Card. Using a portion of your Credit limit (as opposed to your own money) for times when you have to pay a hefty deposit, such when staying at hotels and when hiring a car. Keeping the cash in your own account for longer, and thus earning more interest (or using it in another way, as you please) because you do not need to pay the expenses back until the end of the billing cycle. Insurances - this can include Price Protection, Travel, Smartphone Screen, Extended Warranty. Lounge Access - Usually only offered on the more premium cards, this benefit is generally applicable to travellers who wish to use a lounge when travelling. Ability to add an "Additional Cardholder" or "Supplementary Cardholder" for a partner, friend, relative. This is sort of an alternative to having a joint bank account, and is useful for getting a partner to earn points and for consolidation of transactions. You are able to setup direct debits from a Credit Card for many bills to your Credit Card, thus automating the process and not having to think of whether you have cash in your previously linked Debit Card. As a side note, some merchants only allow Direct Debits from Debit accounts specifically (i.e. BSB & Account Number). With these merchants of course, you will not be able to pay via Card regardless. [Psychological] The feeling of having "grown up" - i.e. now you're using a Credit Card and not a Debit Card! If you are not disciplined with money, there is the danger that you will spend beyond your means and get yourself into a cycle of debt. In addition to being in debt, it is very possible that you will have to pay additional on top of the expenses you have paid in the form of late fees and/or interest charges. Withdrawing money from an ATM incurs fees such as Cash Advance Fees. Earn Rewards points on your purchases, which you can ultimately use to redeem certain rewards. Set up Direct Debits without having to consider whether there's enough money in your linked Debit Card. Keep money in your own account for longer, allowing you to earn more interest on this cash before having to pay off your Credit Card. Whilst there are several disadvantages explained above, in my opinion, the advantages greatly outweigh the disadvantages.